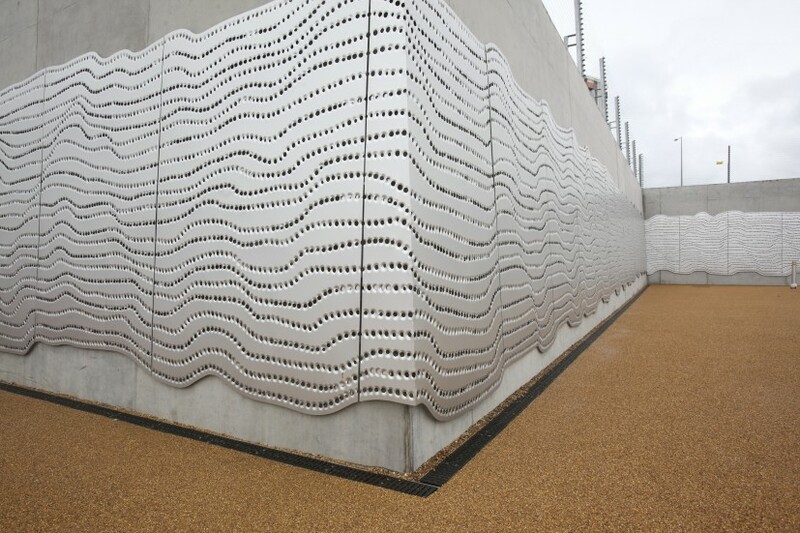 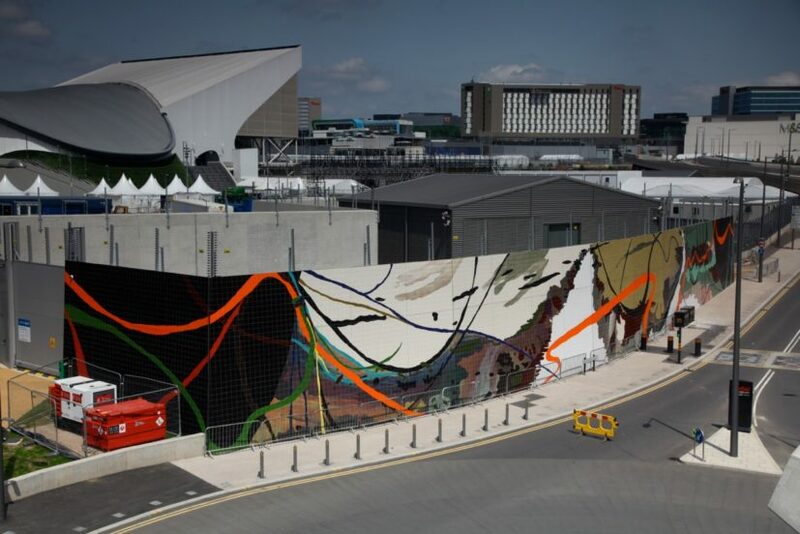 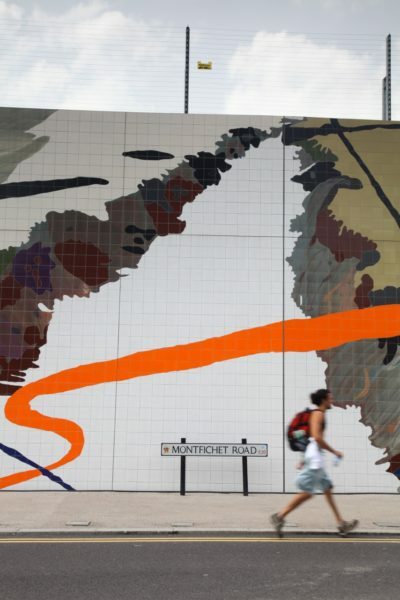 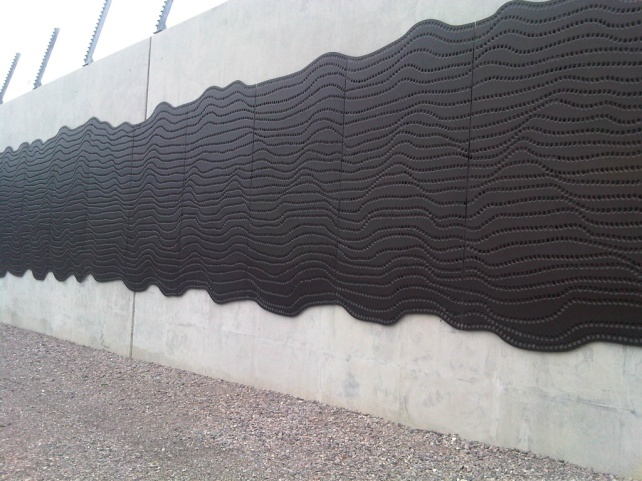 The Contemporary Art Society was appointed by the Olympic Delivery Authority (ODA) to commission two works for the Olympic Park in east London in 2010. 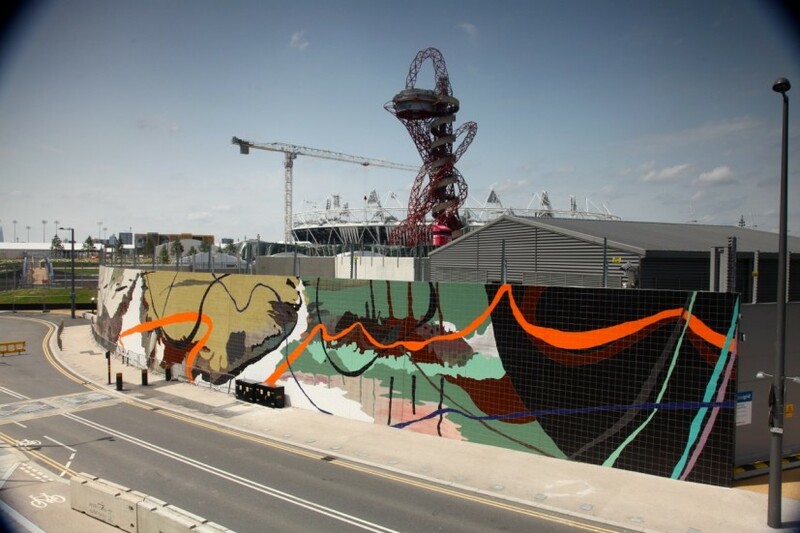 Clare Woods and DJ Simpson were selected to create major wall-based works on two buildings that border the park – the Southern Headhouses. 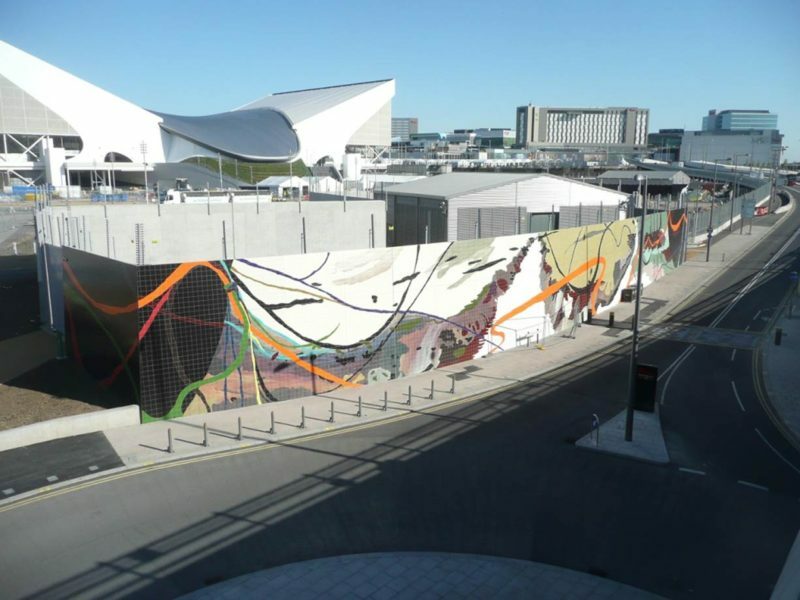 After an intensive development and production period both pieces were completed and launched in April 2010, as part of a celebration of the 26 works commissioned for the Park. 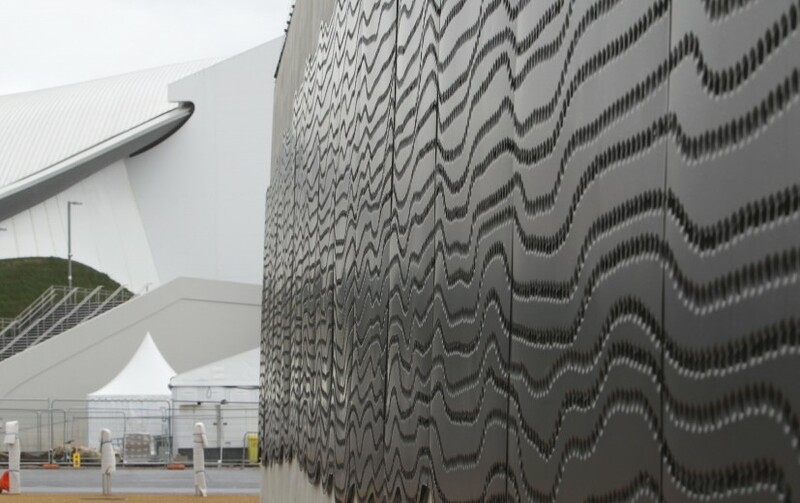 DJ’s installation extends his practice of ‘drawing with electricity’ with an expansive stretch of anodised aluminium panels depicting a topographical line drawing via randomised punched holes. 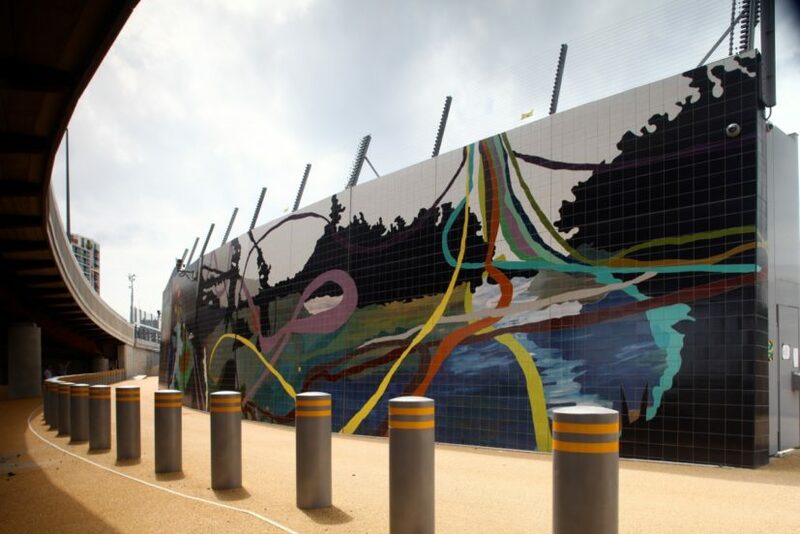 Clare’s tiled walls are characteristic of her psychologically charged approach to landscape painting – each wall drawn from the industrial and creative heritage of the site. 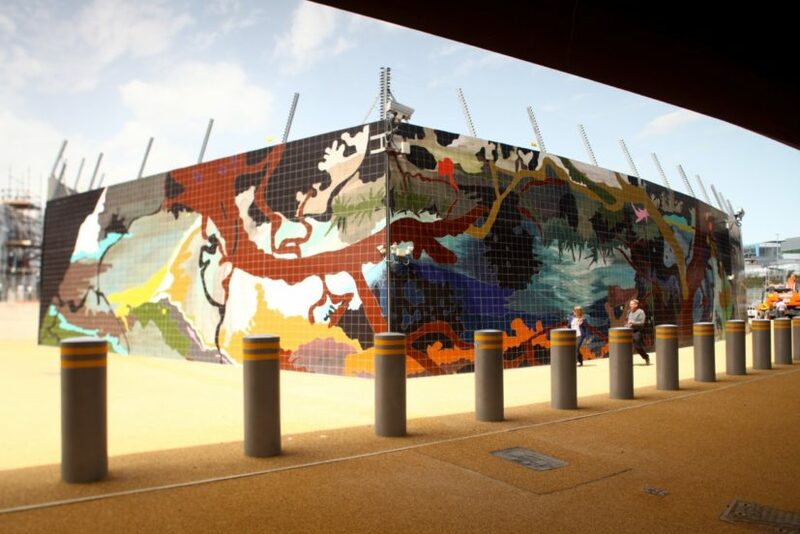 Both works are permanent fixtures in the park, celebrating the legacy of the games long after the Olympics are over.